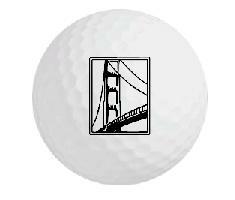 Be the first in your foursome to sport the brand new JLSF Bridge Logo Golf Balls. The balls are Nike Power Distance Super Fly’s and are imprinted with the JLSF Bridge Logo. Your order includes 3 balls to a sleeve and make the perfect gift for the golf enthusiast in your life or to the Pro Golfer in you! Don’t leave home without it and don’t loose your keys with it! That’s right, we finally have the perfect key chain! The perfect size for all occasions, it’s flat for your pockets, yet easy to find in that oversized handbag.